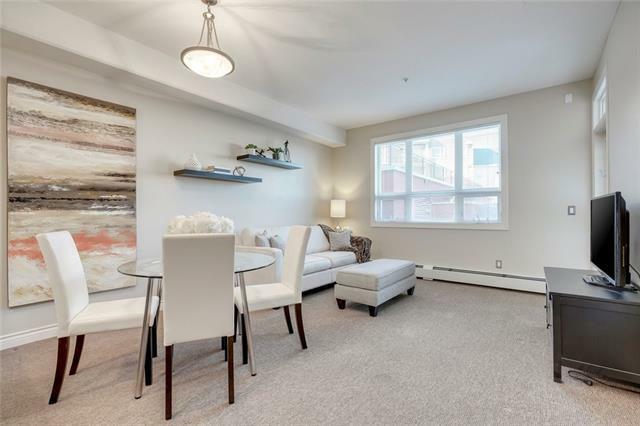 Bright, open& immaculate 1 bedroom in Robson Summit of Montreux, in sought after Springbank Hill. Features include 9' ceilings & huge extra height windows. 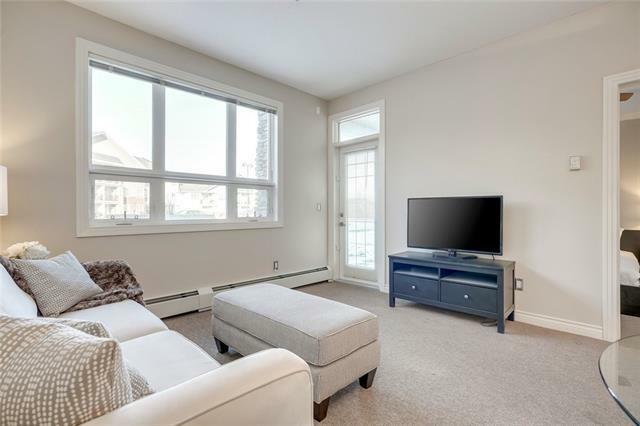 Fabulous kitchen with an abundance of dark wood extended height cabinetry, complete appliance package with cook-top range & built-in wall oven, lots of pot & pan drawers, great counter space & a raised breakfast bar. Open living room/dining room with French door access to a large sheltered concrete patio with gas BBQ outlet. The master bedroom includes a spacious walk-through closet & a 4 piece en-suite with a soaker tub & linen closet with lots of shelving for storage. There is also a built-in desk for your computer station & a convenient en-suite laundry. The price includes secure titled underground parking & a titled storage locker. 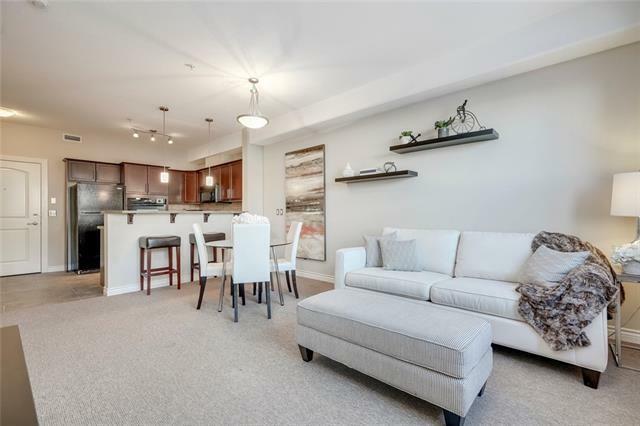 This well managed complex includes an impressive fitness facility, bike storage & lots of conveniently located visitor parking right outside your door.